Welcome to the Lucky Mojo Curio Co. Forum! 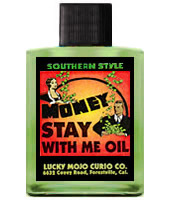 If you want to use Lucky Mojo spiritual supplies, you will notice that there are threads in this forum named for many of the products (like "Money Drawing Oil Questions and Answers"" and so forth). Post in those threads for answers about those products. I was thinking of using St. Expedite for this. What are your thoughts about this? Saint Expedite is a Catholic Saint whose intercession is often sought by those who need a quick response, including (but not limited to those with money troubles, so that would seem iike a good method for working, if you are a Catholic. He is not notably a saint of money, by the way, just a saint of speedy results. babydoll3120, here (http://www.readersandrootworkers.org/wi ... t_Expedite) is additional information about Saint Expedite for your reading. Given the outcome you've had and the candle divination signs, there may well be more than meets the eye to this. Consider getting a reading to see what's going on. Any of the talented AIRR workers can be of service in that regards. Overall however, consider Uncrossing (a thorough Chinese wash of your space and Jinx Killer and/or Chinese Wash VERY DILUTE for yourself), Road Opening (or Van Van type) work and then the drawing and sweetening work once more. This will help remove the negative conditions and bring in the positive. Finally, I don't know if you have any protection work of an on-going nature, but cleansing and protection are a bit like brushing your teeth and taking a shower. Consider them magickal hygiene. Keeping up on the two often avoids problems from occuring to begin with. A spiritual bath like LMs 13-herb combination on a regular basis combined with a protective amulet for your self and another for your home is a simple and pretty low-maintenance way to go about it. Miss Cat even prepares amulets for clients if I'm not mistaken and they're quite amazing and powerful pieces once they're done! Wealthy way is a great oil and crown of success. And I agree a money honey is very helpful. excellent advice as always aura. Thank you so much for that aura and ladyluv. There are two more credit institutions that I can apply for. Had a reading and I am not crossed ( thank god!) but I was advised to cleanse and do some road opening work then start with sweetening once more. I am getting some jinx killer and van van in my next order of LM products so will do the work then. In the mean will do some basic cleasing and road opening ( with the herbs and oils I have ) and then start with the jar again. Hopefully something pulls through! Thank you all for your help! Last edited by Mama Micki on Mon Sep 17, 2012 10:42 am, edited 1 time in total. First of all, stop saying you are "screwed" and stop listening to people whose motto is "misery loves company." Clear away the negative thoughts and words from yourself and others with a 13-herb bath. Start looking at your financial situation realistically and think of ways that you can improve it. King Solomon Wisdom can help. 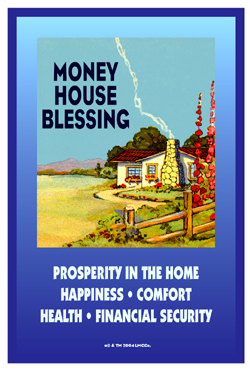 Do some money work with Money Drawing, Wealthy Way, and/or Prosperity. If you need a job or a better one, Steady Work. I don't mean to sound so negative, you're right. I can't work right now because I'm disabled. Usually when I petition the Saints they have helped me in great ways so that may be something I consider and can you tell me more about King Solomon's wisdom? I'm still new to some things. Mama Micki wrote: First of all, stop saying you are "screwed" and stop listening to people whose motto is "misery loves company." Clear away the negative thoughts and words from yourself and others with a 13-herb bath. Oh and is their a major difference between money drawing and wealthy way products? I have wealthy way but if I also need money drawing I'm willing to get it. Some prefer Money Drawing; I have had better results with Wealthy Way. To me, Money Drawing is just to get needed cash; Wealthy Way is more about building wealth. King Solomon Wisdom can help you make wise decisions, which is always helpful in money matters. Many disabled people are able to do some kind of work or run a business. Do what you can. If you have items at home you aren't using, sell them. Mama Micki wrote: Some prefer Money Drawing; I have had better results with Wealthy Way. To me, Money Drawing is just to get needed cash; Wealthy Way is more about building wealth. Thanks that's actually a great idea! I have sold on eBay before and maybe I should get money drawing and use the wealthy way eventually to build wealth. I live a simple life but sometimes I do want the glamour of spending money on whatever I want and/or taking trips. Thanks for all your advice! Hello everyone - well just thought I'd drop a note here and let everyone know how things have developed. I did not get the credit cards. Also three weeks ago my boss called me in to say that he had to let me go so times are rather tough right now. I like to think that the Universe is planning something better for me but as of yet I have yet to see anything. But patience, faith and hope is a virtue, I'd like to think. Thank you so much for your kind words Aura. Sometimes knowing that there are people rooting for you gives some sort of strength to push through the fog. Thanks a bunch! I did what I was supposed to do. I paid everything off of my credit report at the beginning of the year. My score has been creeping up ever since. In Sept my credit score dropped 20 points and then another 20 in Oct. I called and one of the companies are still reporting me negatively they told me. I called the company and they denied ever reporting me. They even wrote a letter for me. I'm now disputing this stuff. It's an on going battle. Best of luck to you in your situation. I'm just praying for everything to be deleted because it's been more than 7 yrs...It's like I take one step forward and two steps back...Well, I'll get off my soap box...Oh! I ordered some banishing oil to banish bad credit because I need some reinforcements!!! Good evening everyone. I'm new to Hoodoo and want to purchase either a spell kit or a mojo bag. I've settled on going with a mojo bag (though if a spell kit would be best please do advise me to purchase that instead) but I'm not sure which mojo bag would be best for my situation. I'll do my best to explain my current situation below and I sincerely hope someone here can assist me in choosing the right mojo bag. I'm currently 23, still live at home with my parents but want to move out. The issue is I don't make enough money to cover rent, utilities, food, etc despite working full time. I am mired in debt (credit cards, student loans, personal loans and after doing my tax return i find that I owe the government over $2300) and don't make enough money to cover all of my bills. To be honest I only bring in enough money to pay my parents rent, my car payment and my cell phone bill. My debts are going further and further past due and unfortunately my parents aren't in a position to help me. As you can see, I'm in dire need to help and I'm hoping there is a mojo bag that can get me back on the right track financially and as quickly as possible. Which bag do you recommend? Or, as stated above, would it be better to purchase a spell kit? For the mojo bag I was thinking the Triple Strength Money Drawing Mojo Hand ( http://www.luckymojo.com/mojo-3x-money-drawing.html ). Would this suffice? Should I purchase another one instead? Thanks in advance to any and all who help me. I appreciate the recommendations and suggestions. I suggest that you use Steady Work and Crown of Success to get a better job that covers more of your expenses and Money Stay With Me to make your money go further. Go over your budget to see if there is an area where you can cut back and save some money. Take your lunch to work instead of buying it. Shop for a better phone plan. Take the bus to work if you can. Ask your parents if they would be content with less rent. I'm sure you can come up with other ideas. So you don't suggest I buy a mojo bag or spell kit? Mama Micki wrote: I suggest that you use Steady Work and Crown of Success to get a better job that covers more of your expenses and Money Stay With Me to make your money go further. Would that be the mojo bags or spell kits for your recommendations? The Steady Work Spell Kit has a mojo bag in it, with complete instructions to prepare it for use. Mojo bags need to be fed with oil, and there is a vial of Steady Work oil in the kit. Get a bottle of Crown of Success Oil, and maybe Cast Off Evil oil as well. You can either blend the three oils together, or use a different one each time you feed your mojo bag. MissMichaele wrote: The Steady Work Spell Kit has a mojo bag in it, with complete instructions to prepare it for use. I will be 24 next month but between my university studies (full time student here) and between my working full time at my job I simply do not have enough hours in the day to allow me to get a 2nd job. But the thing is I am about to graduate in May with my parents and sister coming up to see me for graduation and I don't want them to see me in this mess. I owe more money to people and companies than I can afford and since I have no credit the bank has rejected my debt consolidation loan request. So I need help I am at my last resort here. I need a spell whatever it takes to make me get money to get out of debt. I need to be in a financial stable position if that is even possible at this point but I have no clue where to even start. I have already made all the necessary cut backs and canceled services and subscriptions I don't need to save me some money but I need something to get me money so I can get out of debt. What do you suggest? Hello there I appreciate the kind help you have given me at this time. My question to you however is do I need to purchase all the kits you mentioned here for this to work properly? Or were you suggesting that I can just simply pick one of the kits listed and that should be enough to help me in my situation? I am just making sure so I don't buy more then I need thanks. Can you work a love spell and a money spell at the same time? I am about to start working on some love spells for someone I like but am unsure if I can work spells for 2 different cases at the same time or if that is not something that should be done. johnnyr860 wrote: Can you work a love spell and a money spell at the same time? I am about to start working on some love spells for someone I like but am unsure if I can work spells for 2 different cases at the same time or if that is not something that should be done. I find it best to work only as much as you can put out. If you think your energy is best focused on one thing at a time, do it that way. Some practitioners can work multiple spells at the same time, while others focus on one at a time. Find what feels right to you, and how much energy you have to put into your work. For peaceful home what do you do with the cinnamon after you boil it for 30 minutes. This thread is about money drawing, not peaceful home. sorry but I was reading though the quote and it said to boil cinnamon for 30 minutes on Friday, what does that do. Cinnamon is a money drawing herb, sexyboriqua70. I need help with a money spell to get out of debt. It seems as if someone has hex me. I've merged your post into the existing thread on spells to get out of debt. You'll find lots of ideas, products and ways of working and thinking that will help you in your present situation. If you want to ascertain if you've been jinxed in the money area, consider getting a reading from a root doctor like one of the members of AIRR who can counsel you on what's going on and how best to address the situation. If you have problems with impulse spending, but need to keep a credit card for emergencies (i.e. can't cut it up), put the card in a container, in water, into your freezer. If there's an emergency and you need the card, you can thaw it in a few hours (or less, in a hot water bath)... but you can't easily grab it to head to the mall for that shiny new whatever. I was wondering if that might also form a (very weak) freezer spell? If so, maybe people with compulsive/impulse spending issues could enhance it with different ingredients and packaging, to freeze the spending issues and/or credit card company (e.g. if they're being harassed with lots of calls) out of their life? Perhaps vinegar would sour the rush they got from spending? Or maybe Prosperity bath salts dissolved in the water would help? Possibly the container could be wrapped in foil with shiny side inwards, to trap the spending problem there? And they could pray over it, maybe burn a candle over it (before freezing it, obvs. ) etc. to increase its power, too. I'm not a compulsive spender myself, but was wondering if something like this might help people who have spending issues. You sound like a seasoned root worker!!! my friend has 110000 $ debt, 70000 $ student loan. every penny he earns goes to pay debt. I really want to help him. is there any spell to help him get rid of these debts as soon as possible? There are a few pages here with wonderful suggestions. Maybe browse through them and see if anything appeals to you. Also, he may want to talk to a financial advisor to coach him with these problems and help him with a plan. There are two ways of going about it. No magic sorry just advice. Choose the credit card with the highest interest rate, make minimum payments on all the others and throw as much money on it as possible. When it's paid move to the card with the next highest interest rate, roll the payment from the first card onto the second and keep doing that un til the cards are paid. and so on, so when the second is paid out the third will be $270/m. The second way is similar to the first in that you roll the payments over but you may decide to pay off the card with the smallest balance. I prefer to concentrate on the high interest one as that is costing you whereas the 0 interest isn't. It's been a while since I last posted, as I have been quite occupied with things that have been happening. I need some advice, I've just read through the whole of this thread and will be trying some of the drawing money in and money stay with me. However I would like to hear others opinions on the matter as two heads is better than one etc. I wish they knew how much debt their son has put me into now and not even doing anything about it, not even a sorry. It's causing me to stress more and I'm already seeing a therapist and on medication. Sorry for the long post., any suggestions would be helpful, thank you. Oh, Geez, I am so sorry that he is doing all of that to you. And keeping the kids' things at the in-laws? That's insanity! I'm so sorry. 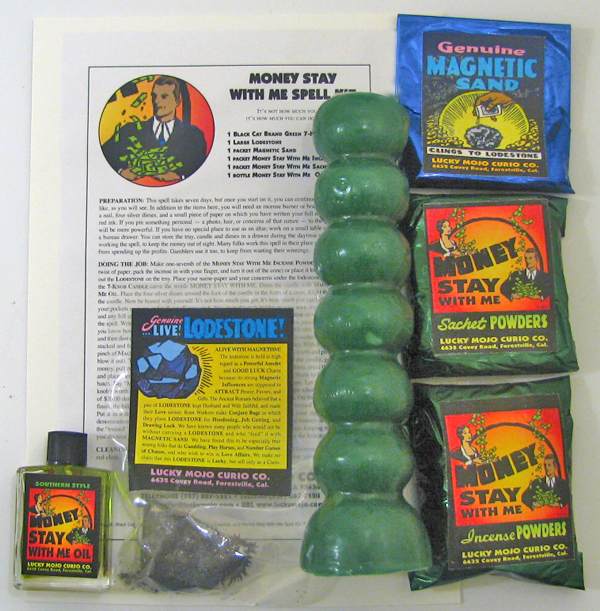 Here is a marvelous webpage that Miss cat wrote about the Pay Me products and spells. It's very helpful. Last, but not least, what abut getting yourself a different attorney? I'm wishing you and your child the very best. I keep some of my granddaughter's things at my house because she is here a lot. You are entitled to child support, as Miss Aida stated. Your daughter's father is responsible, not his parents. Hi everyone I went to college in 2009 took out a loan my mom and grandma told me to do and put in my name. Little did I know down the line what it is how it affected my credit and having it back with money I don't have. I feel betrayed bc I feel they knew what would happen and the school miscalculated my money where I didn't even need to take out a loan. Every since I left in 2010 I've been wanting to go back to school bc I love school and want to get several degrees and a good job for my babies and I.I can't go bc I can't qualify for financial aid with a defaulted loan. Is there any advice on getting rid of my loan to go to school?? Get the book "Best Credit" written by a former collections agent about how to skyrocket your credit rating within like 3 months. Or, just go to his site which is full of info. Then take advice of others who post on this thread regarding sugar / honey spells etc. Good luck. How wonderful that you love academia!! You are a special person!! I am moving your post over to paying creditors and ask that you read those pages. After reading them, if you have any questions, we are always here for you. Wishing you the very best (and, hopefully, soon you'll be asking us about success in school spells)!!! I have moved and merged your last post over to the appropriate subforum (and I am doing the same with this one). Rather than starting a new topic, go to the upper right hand corner of this page. In the dark green area, there is a white search box. Enter the key word that you wish to search. In this case, it would be "money". Then, you will be sent to an area which has subdivisions. Then, you can browse through the subdivisions and see which sub-topic pertains to you. That's where you can read about spells and, if you have any further questions, you can ask there. Thank you for taking the time to answer my post. I would like help with a spell to wipe out the debt that I have and increase my wealth so that I can help my baby girl go to school, help my husband with the bills and help my parents and siblings. I was thinking of purchasing a combination of the sachet powders instead of the incense powders to do my spell work. catherineyronwode wrote: Your husband is right, Money Stay With Me is not exactly the same as "send all my money to the credit card copany." 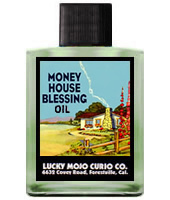 Another oil you might consider is Money House Blessing. However, since you are dressing your own candles, we do not know how you are doing it, and this too has an influence on whether a candle turns black or not. If you were to purchase one of our dressed and prayed over Money Stay With Me or Money House Blessing candles ($8.50) rather than dressing your own for one month, you might see a difference in the burn. If there is a difference in the burn, you may consider that the way you are dressing the candle is the problem. I am not saying this is the case with you, but in my experience, many people make problems for themselves by improper candle dressing. 2. Banishing (to banish debt)? I am gratefully employed so income is not an issue, but I do have credit card debt left from my divorce and I tend to overspend. That looks like a Great spell plan!! Thank you so much Nat! I am in full time employment however my husband and I are in debt left right and centre my husband is self employed and is sub contracted for jobs however his jobs tend to last for short periods of time followed by a large stretch of unemployment which interferes with everything as I'm left to pick up every thing financially and it appears that I work to pay bills literally we need to get out of debt my husband needs to keep steady work and we need to hold onto some of what we work for. Please suggest something thank you.